I've already got 21 plants in residence, in various stages of production: Floradale, Golden, Celebrity, Early Girl, Cherry, Beefsteak, Purple Cherokee. But I couldn't help but browse during a recent trip to Home Depot. I was actually looking for a couple replacement basil plants (is boxwood basil extra finicky or what?). 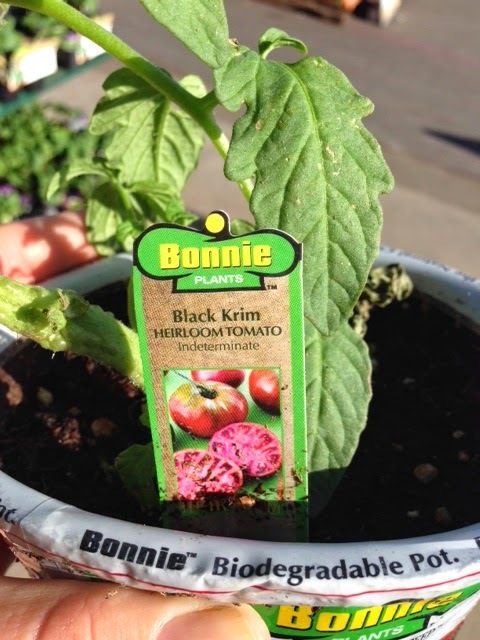 But when I saw the "Black Krim" plant, growing in a funky almost espaliered shape, I couldn't help myself.